It was dark as the garage door closed behind us. 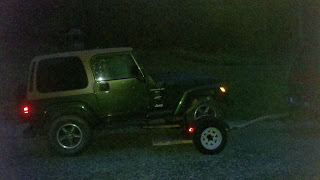 Yes, today we are towing the Wrangler up to CT. Yes, my fully loaded Jeep will stay in CT. It will not travel "the gravel road" or climb the hollow's mountain again. However, don't be sad as it's adventures are not over...not if I have anything to do with it! Not an end to your adventures at all..just adventures in a new place! I am sure the Wrangler has not seen its last adventure! That Wrangler has many more adventures left in it. I bet it can't wait to conquer new territory. 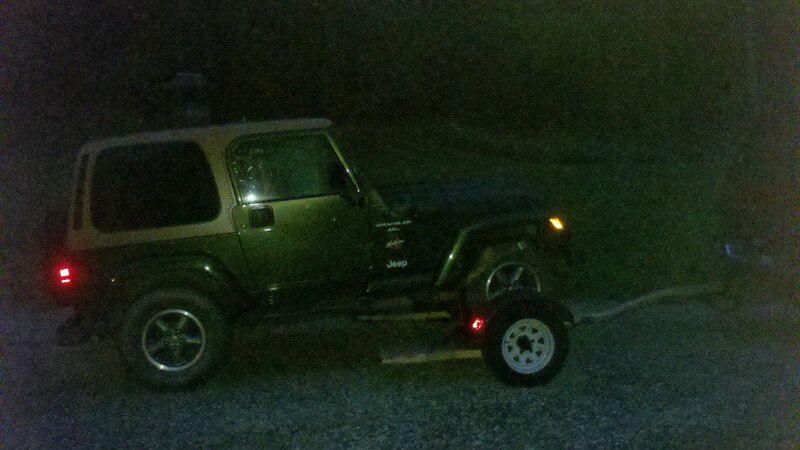 Hey JP we are Jeep folks too with a Liberty, Grand Cherokee and a Commanche pick-up. Grenville would love to have a ruby red wrangler one day.